Thank you so much to all of our customers for your support throughout 2014. We have had a really enjoyable year helping a record number of you find the perfect dolls for you and your little ones. It’s been such fun – thank you so much! Highlights during 2014 include our Silver website award from mumpreneur.co.uk, a badge of honour which we wear on our website with pride. We are also delighted to have reached over 15,000 likes on Facebook! It’s great to be able to chat with so many followers of Petalina so easily. In the summer we launched our own range of dolls clothes called Petalina Girl and we are very pleased with the feedback received so far. The clothes were designed to fit all the 46-50cm Gotz dolls and Kidz ‘n’ Cats dolls and have been made to a really high standard in Europe. In November, after many months of hard work, we launched our wonderful new website, which we hope you are enjoying using as much as we are. The website comes with powerful behind the scenes software which will enable us to make even more improvements over the forthcoming year, which I know I am very excited about! But enough of all of that – which of our dolls have been the winners through out the year? Grace has been available for a few years now and is as popular as ever. I hope she remains in the Kidz ‘n’ Cats 2015 collection! 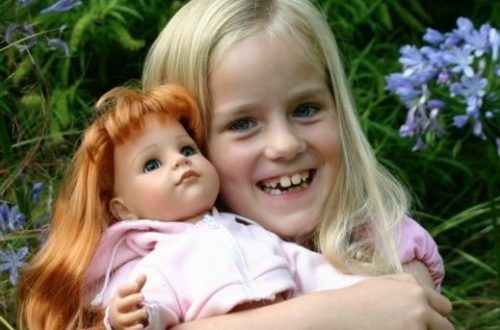 Jessica is one of the Gotz Precious Day Dolls, cuddly 46cm dolls with closing eyes and long hair. Perfect from age 4 but older girls love them too as they are so like American Girl dolls. 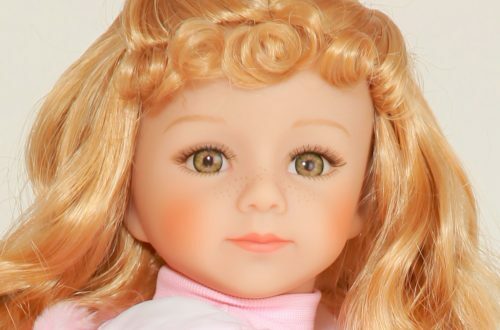 This little doll is the perfect first doll for an 18 month or 2 year old girl. She is 30cm and the ideal size to be cradled in a little girl’s arms and taken everywhere. My favourite doll of 2013 and 2014. Simply stunning. Sadly Gotz sold out in the summer of 2014 and we hadn’t ordered early enough so have not had stock for a while. I do hope she is back in the 2015 collection. Hannah as a Princess is one of the Hannah range of dolls by Gotz. 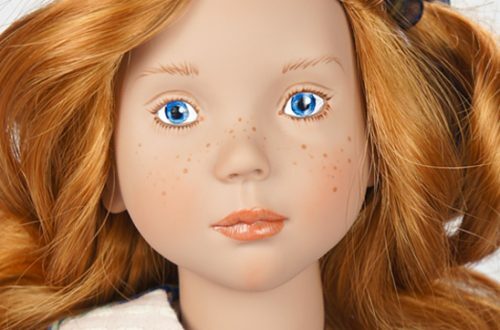 All are beautifully sculpted 50cm all vinyl dolls with fixed eyes and rooted hair. Simply gorgeous. Any little girl with a love of history will love this range of dolls which includes Matilda, each representing a different period of history. Matilda, Amelia and Clementine have all won the Best Play of the Year from Doll Magazine but it’s not surprising really because the design and quality of the range is so good. Heidi Llorona is a doll from Llorens, a Spanish based doll maker, and all the dolls and outfits are made entirely in Spain. 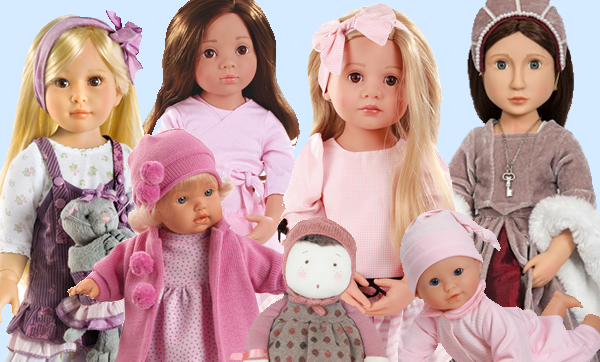 We love the dolls’ realistic little faces and traditional clothes, and the offer great value too. Moulin Roty are renowned for their quirky dolls made from beautiful fabrics and Margotte is just plain gorgeous. Not a surprise to me that she has been so popular! Miaculti Sofia continues to be one of our most popular dolls. She is a large baby doll made to an incredibly high standard in Germany. Whenever Petalina has visitors, this is the doll that comes out to play! Sophie is one of the Gotz Happy Kidz dolls and has been really successful due to having dark hair (Hannah at the Ballet is always blonde) but also because of her joints which allow her to be posed so naturally. Love her. Finally, we were delighted to be able to bring to you several new brands including Bonnie & Pearl Dolls, designed and brought to you from Wales. The dolls have been a huge hit due to their gorgeous faces and overall quality, but also their outfits have been very sucessful because as well as being beautifully designed and made, they fit so many other makes of doll of a similar size. Antonio Juan arrived during 2014 too and they have been a huge hit. Like Llorens, the Antonio Juan dolls are made entirely in Spain, with beautiful faces and traditional clothes. Most have soft bodies but we also chose to stock some of the all vinyl realistic soft vinyl babies and they have been really popular too. Adora dolls became available in Europe and we jumped at the chance to stock some of the ToddlerTime dolls as well as the PlayTime, BathTime and NurseryTime for little ones. In 2015 we will continue to make available to you as wide a collection of children’s play dolls as we can from all our current brands, but of course we already have some new brands up our sleeves to bring to you in the next few months.